Introduce the cat carrier a month in advance. 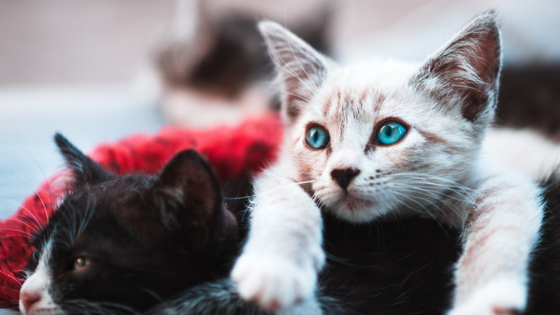 Even if this isn't the first time you've used the cat carrier, it's a good idea to introduce the cat carrier into your cat's living environment well in advance of your move. Put it in your cat's favorite area, leave the door open, and regularly put treats and your cat's favorite toys in it. Doing so will encourage positive feelings and excitement toward the carrier. Have fun with the moving boxes. Cats famously love boxes. Use that to your advantage by pulling out the boxes early in your old apartment and leaving them out for a while in your new Mockingbird Flats apartment. This will help keep your cat engaged and entertained, making them less likely to show more anxious behaviors about the move. You may use some organic catnip spray to further entice their exploratory side. Set up two litter boxes. Most people follow the one litter box per one cat rule, however, when moving, it's a good idea to go further with two. That's because you're going to have your cat's home base room, which is the room where you first open the cat carrier and may be either the bedroom, extra bedroom, living room, or elsewhere. This first room is where your cat is likely to be the most comfortable for the next month and should have a litter box in it for that period. Additionally, put a second litter box wherever you want your cat's future primary litter box location to be. Note, during the move, it may seem gross, but it's a good idea to leave some of your cat's droppings in the litter box before and then for a day after the move. This leaves their smell in the box so that they are more likely to feel comfortable with the change. Other Moving Questions? Don't Hesitate to Ask! Looking for other advice on making your move into the Mocking Bird Flats less stressful? Don't hesitate to call our front staff! From advice on moving companies to helpful move-in checklists, our team is here to assist. Check out our apartments in Dallas, TX today!